For my birthday, I bought a classic Guerciotti bicycle—from the 1980s, I believe. I sold my Masi Speciale Fixed to buy this beauty. I will truly miss Masi, but she goes to an owner who like me needs a smaller frame (51cm). I move up from a fixed-speed to gears, which suits my plans to ride lots more, lots farther. 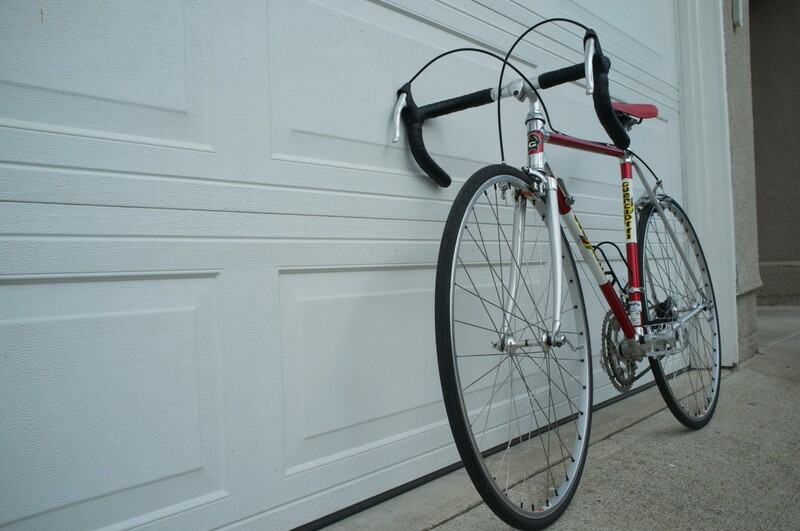 I wanted a lightweight, quality bike that offers much while looking less attractive to casual thieves, and the decades-old Italian road bike was available from a shop selling used roadsters. I searched first for a 1970s Schwinn Super Le Lour II or Paramount but those coming on Craigslist were too large. The Guerciotti frame, with Corsa 487 tubing, is 53cm. That’s a tad larger than I should ride but nevertheless manageable. The 12-speed rode bike Is lightweight. My guess: 9 kilos (20 pounds) tops. I love the geometry of this bicycle. Except for pedals and seat, pretty much all the gear appears to be original issue—I’d say, Campagnolo all the way. By choosing an older, vintage, well-maintained bicycle, I could get great components and construction for, compared to today’s market, thrift-store pricing and in a package less eye-catching to thieves. Some context: I didn’t get a driver’s license until age 25. I biked. Now I’m back to it. Why drive a classic car when you can pedal a classic bike?